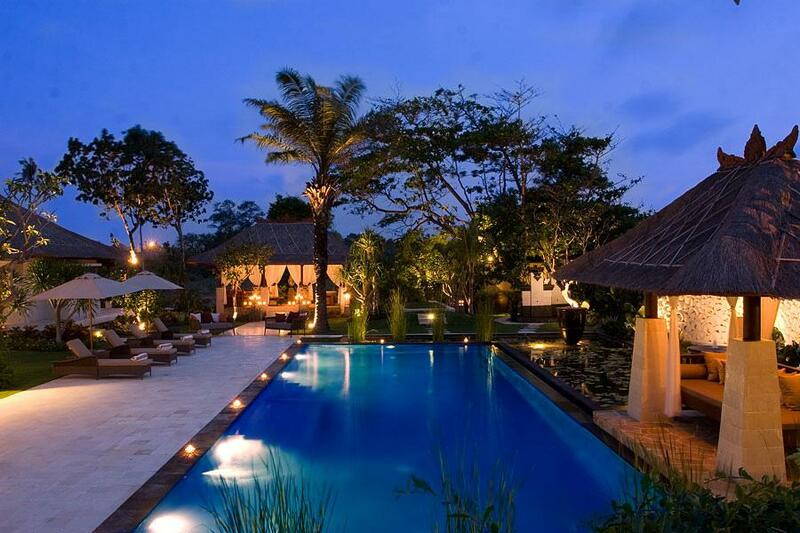 The villa offers a truly amazing luxury experience. 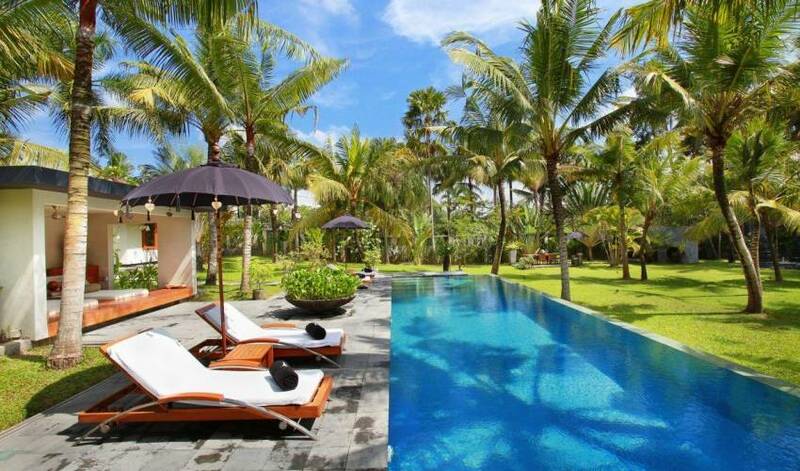 The villa is concealed in the depths of beach side Canggu by an impressive 100 coconut palm trees is a spacious five bedroom villa which was originally built as the ultimate luxury home, and was exceptionally refurbished by its Dutch owners, who used their fashion industry expertise to create a unique space that is perfect for a group of family and friends. 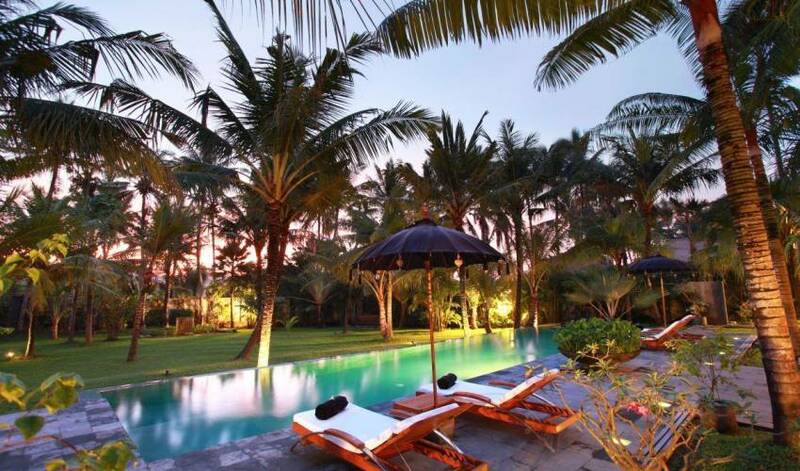 Spend tranquil days in your private pool, soaking under the Balinese sun, and dine outdoors as the sun sets below the palm trees. 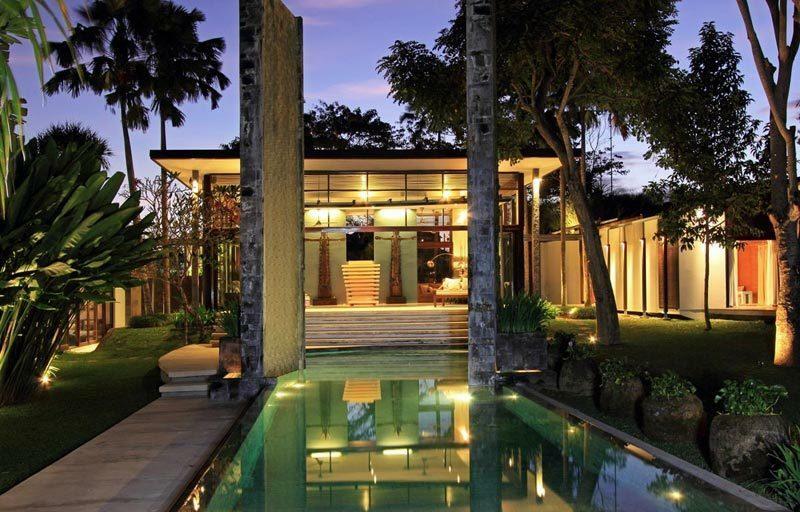 Take a walk around the secluded gardens and admire Bali’s natural beauty; there’s 3,000 square meters to cover! 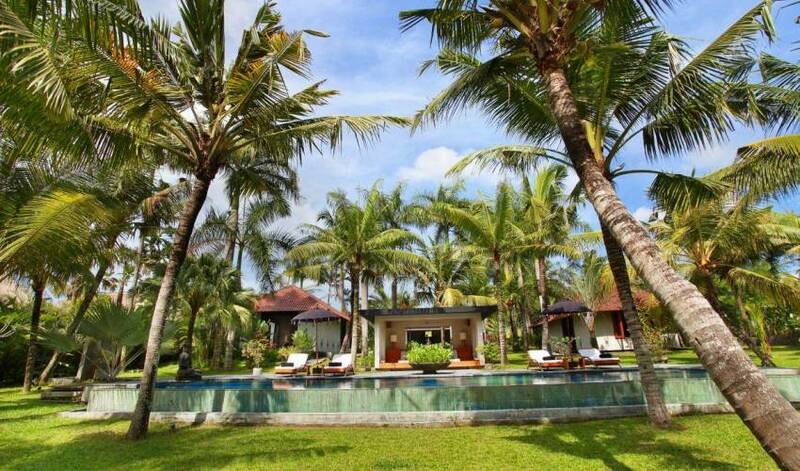 Entirely private, beautifully decorated and with an enormous expanse of greenery, all shielded by a welcome canopy of palm trees, a stay here really is an escape to a tropical paradise. 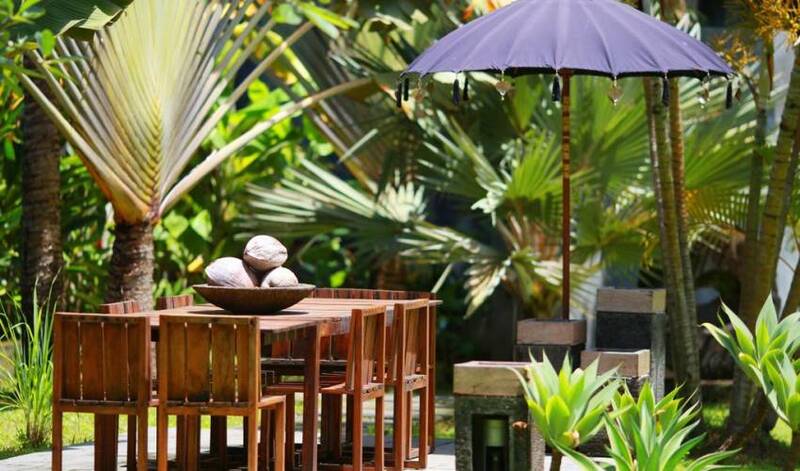 Your villa comes fully staffed with a housemaid, gardener and security. We can also organised a cook for you if needed. 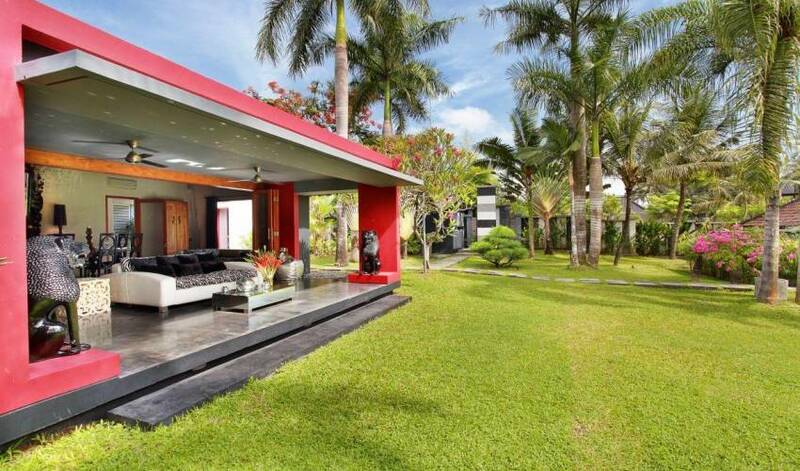 The villa is the perfect get-a-way for families or a large group of friends. 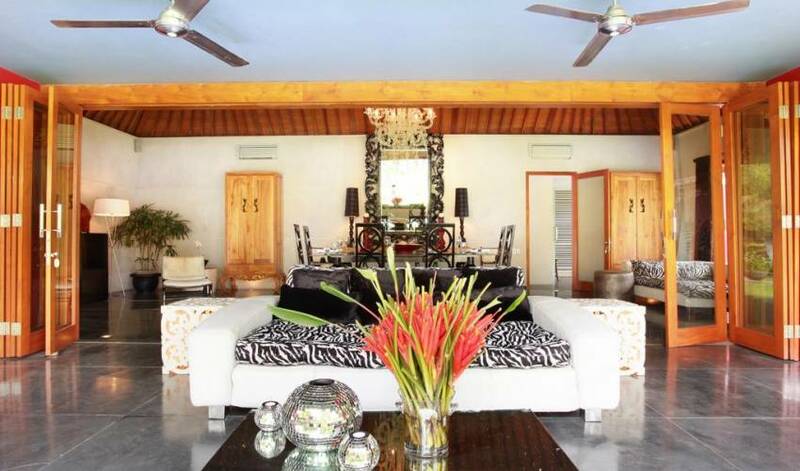 The villa and the villa location make is also ideal for smaller intimate celebration of weddings, cocktail parties or other events. 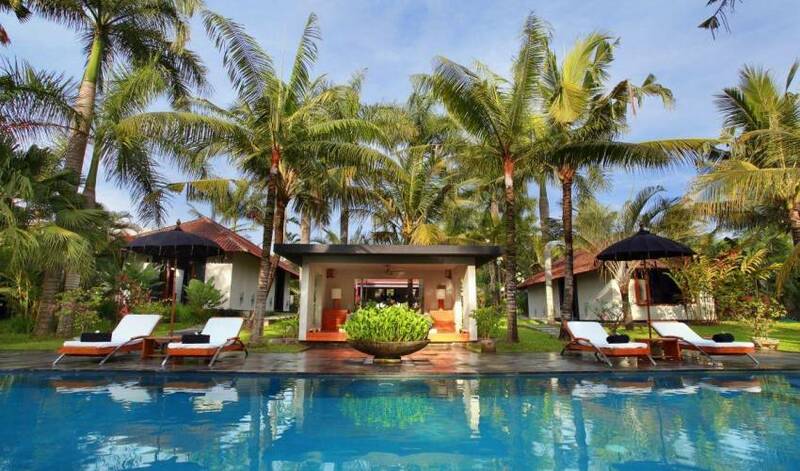 The villa is 10 minutes from the beach and 15 minutes from Seminyak.